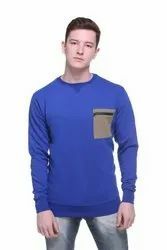 Pioneers in the industry, we offer men stylish sweatshirt, hooded sweatshirt for men, fashionable hooded sweatshirt for men, latest cotton blended hooded sweatshirt for men, fashionable men cemo print zipper sweatshirt and trendy wear men cotton fleece sweatshirt from India. comfort and proper air ventilation, but also allows natural body movement. 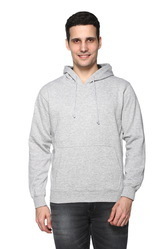 Accented with solid pattern and an attached hood, this sweatshirt made with Cotton Blended Designer Dotted Fabric from house of Harbor N Bay. Thid is visual treat.This sweatshirt not only promises cosy comfort and proper air ventilation, but also allows natural body movement. picks till date.It is made from Fleece fabric. 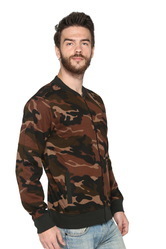 This full-sleeved sweatshirt is a steal deal.Setting this multicoloured sweat jacket from Harbor n Bay a class apart is the camo print all over. 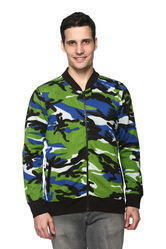 Team up this sweat jacket with blue denims and black casual shoes. 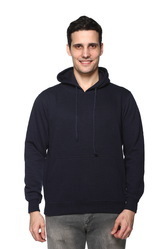 Styled with Solid Plain, Black color T-shirts from house of HARBOR N BAY. 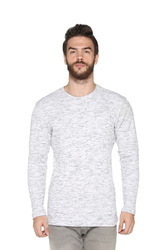 This full-sleeved T-shirts a true value for money. Tailored in regular fit using cotton Polyster fabric, this T-shirt is comfortable to wear with ripped chinos and casual lace-ups. 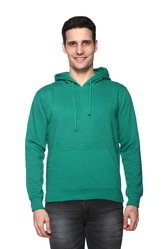 Bring home this Multi-coloured sweatshirt from Harbor N Bay and earn loads of compliments for your classy choice in apparel.this Hooded sweatshirt will be one of your smartest and worthiest picks till date.It is made from Fleece fabric.